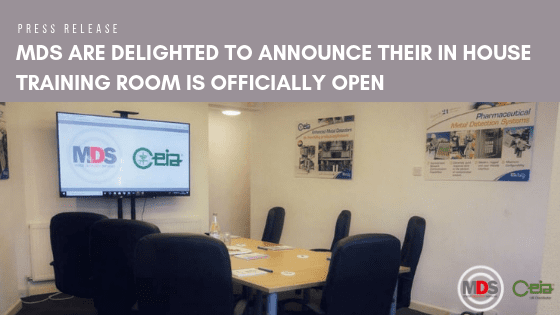 Metal Detection Services are delighted to announce that their in house training room is now officially open! MDS have created a bespoke space within their headquarters, near Manchester, where they can provide dedicated training courses within a controlled environment. Having this space allows for a “hands on” approach with training, ensuring that each trainee receives the best instruction available. Courses can be provided on a half or full day package with all the materials included. Each session will include the basic principles of a metal detector, retail codes of practise and common basic faults. Bespoke training is available where necessary. This is an ideal opportunity for new starters, and to continue developing existing staff knowledge as new codes of practise are introduced. There are a number of working metal detectors in house which allows training to be held on a metal detector with no worries about access to equipment, which can be difficult in a busy factory. All MDS Engineers are highly experienced with several brands of metal detectors. Andy Elder, the MDS Field Service Supervisor says “We’re really excited to have this purpose built facility, it’s a great space to do training as it’s away from the distractions and noise of the factory floor. We can also guarantee access to a metal detector, which is often difficult when we do training on-site”.